die gesuchte 12-inch maxi-single aus dem jahre 1979 wurde mit den original labeletiketten in der legendären greensleeves disco-bag stecktasche neu aufgelegt! - eingespielt seinerzeit mit den musikern der revolutionaries (um bandleader sly dunbar) sowie komponiert, arrangiert und produziert von johnny clarke handelt es sich um zwei bemerkenswerte roots reggae stücke in ihrer extended version (vocal & dub). seite a hat die 6:28 minuten version von -jah love is with i- und seite b die 5:52 minuten version von -bad days are going-. 2018 repress !! 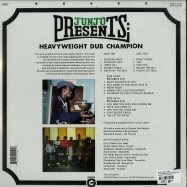 first ever reissue of one of the holy grails of dub. 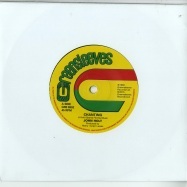 pressed only in jamaica in very limited numbers and sold even then at a premium price dub serial has not been available in any for form since its original 1972 release with copies now changing hands for in excess of seven hundred pounds! returning to the ring with waterhouse dub, a brand new slab of megaton dub, king jammy, the undisputed heavyweight champion of drum and bass draws for a crucial selection of his roughest and toughest rub-a-dub specials (please officer, boom shack a lack, jail house etc.) 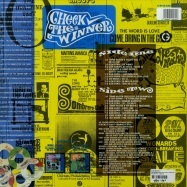 to deliver 15 mind-destroying dub knock-outs on ten selected tracks on lp-vinyl-edition including poster. es war ein bewegender abend, der weit bis in die nacht hineinreichte, im ausverkauften hammersmith palais in london am 05. juni 1977. unter den 2.000 begeisterten zuschauern waren auch joe strummer und mick jones. beide waren von der show der jamaikanischen top-stars dermaßen inspiriert, dass der frühe single-hit von the clash -(white man) in hammersmith palais- daraus entstand. 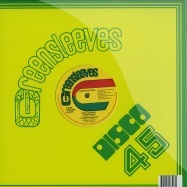 zur feier des 40-jährigen labeljubiläums präsentiert greensleeves die gleichnamige 4-track ep (33 rpm) in attraktivem packaging inklusive eines nachdrucks des posters, mit dem das konzert seinerzeit beworben wurde. hier finden sich die besten stücke von leroy smart und dillinger mit -ballistic affair- und -cokane in my brain-, sowie ken boothes unnachahmliche coverversion von sixto waiting for sugar man rodriguez und dem äußerst raren und gesuchten delroy wilson song -rascal man (false rasta)-. suns of dub is a performing ensemble and production team, creating unique sound experiences that blend live instruments and dub influenced genres. 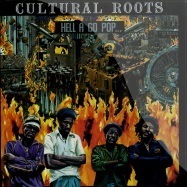 their hybrid reggae sound includes live melodica, steel pan, nyabinghi drums, live dub and dj effects. the group has been working and releasing music together since 2010.
riddimentary - suns of dub selects greensleeves pairs the group with the greensleeves and vp records catalogue of reggae masters for a musical tour through the crucial tracks that have formed the outlook and output of the ensemble. the set is a continuous dj mix of seventeen songs on cd. 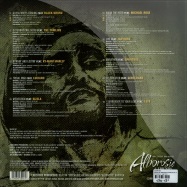 twelve selected full tracks on vinyl lp and both the mix and seventeen full tracks on the digital album. 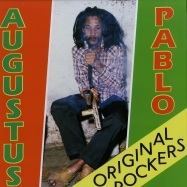 among the featured artists on the album is the legendary augustus pablo, whose son addis is a founding member. riddimentary is the perfect bridge for dub reggae and progressive music fans to connect with all-time reggae classics from greensleeves and vp records. for fans of diplo, prince fatty, mr williams, rockers and roots reggae. 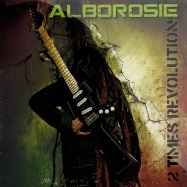 alborosie the on a mission reggae warrior licks back the dread at the controls rod taylor classic from 1978 his majesty (produced by mikey dread) to stunning effect. 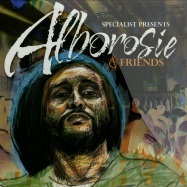 the latest production of mr. alberto d ascola aka puppa albo aka alborosie showcases established hit-makers gentleman (in combination with clay), mr. vegas, alborosie, etana, christopher martin, sizzla kalonji with all new exclusive tunes, alongside young lions like dann i, yung j.r., skygrass, sandy smith and martei corley, with all great voices and excellent performances. 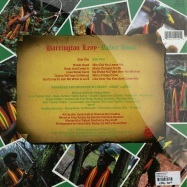 eleven superb tunes plus alborosies instrumental riddim version makes this a standout longplay release! run the rhythm! 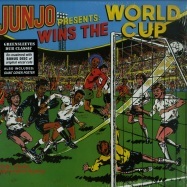 mit den aufnahmen aus den studiosessions zum scientist wins the world cup longplayer, die es seinerzeit aus platzgründen nicht auf das album geschafft hatten, präsentiert die veröffentlichung world cup (extra time) die perfekte vinylergänzung zum dub-klassiker aus dem jahre 1982. der produzent henry junjo lawes hatte die musiker der roots radics mit style scott (drums) und flabba holt (bass) in das channel one geladen, um zusammen mit overton scientist brown am mischpult den schwergewichtigsten dub-reggae der jamaikanischen musikhistorie einzuspielen! a re-generation for a nu-generation with all exclusive recordings! 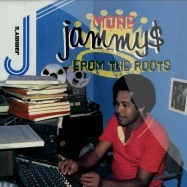 mr. lloyd james aka prince jammy aka king jammy (or simply jammy’s) updates his 1977 black uhuru album classic with an all-star voiceover artist line up of both current core and heritage heroes alborosie, chronixx, gentleman, kabaka pyramid, dre island and u roy, shaggy alongside beenie man, tony rebel, bounty killer, louie culture. all the singers and deejays come with a boom shot apiece to ensure that -new sounds of freedom- stands toe-to-toe with its illustrious originator “love crisis / black sounds of freedom” the album. the new album! 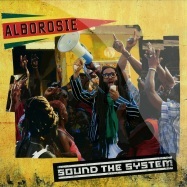 one of reggae’s emerging masters of reggae / dancehall & dubwise production, alborosie has honed his craft through the creaton of six studio albums (five for greensleeves). 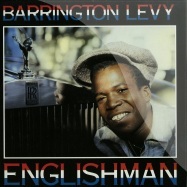 along the way, he has become the biggest selling european roots reggae artist. his latest album, -freedom & fyah- demonstrates his production skill and depth of feel with strong contemporary and authentic reggae jams. 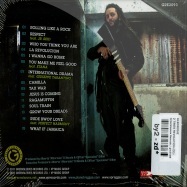 all tracks are produced by alborosie, with most of the songs mixed by the high renown james -bonzai- caruso. 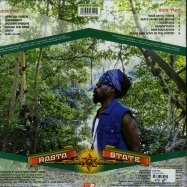 featured guests include ky-mani marley on the ballad and first single/video -life to me- and protoje, who have been just voted as best international artist by the riddim magazine readers, on the track -strolling- and reggae legends, the roots radics band with flabba holt on the track -everything- feat. pupa avril. stand out tracks include -poser- (which has chalked up already over 1 million youtube views) and -rocky road- which is up to 500k views. 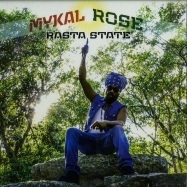 the new album for the singer and artist mykal rose aka michael rose aka the former lead singer of one of reggae’s greatest and most successful artists black uhuru from 1977 to 1983 is produced by mr. lloyd james aka prince jammy aka king jammy. das album aus dem jahre 1983 wurde im originalcoverartwork neu aufgelegt! 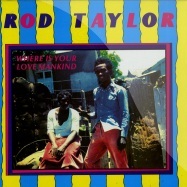 der longplayer wurde im channel one studio mit den roots radics und den bläsersatz von nambo robinson (posaune), dean fraser (saxophon), dave madden (trompete) eingespielt. der finale mix erfolgte in den channel one und joe gibbs studios mit hilfe der toningenieure errol thompson, scientist und soldgie hamilton. 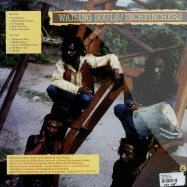 als produzent fungierten die wailing souls selbst: winston pipe matthews / lloyd bread mcdonald / george buddy haye / rudolph garth dennis. 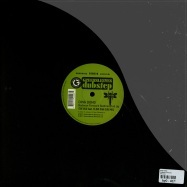 terror danjah vom renommierten dubstep label hyperdub (u.a. burial, kode9) hat sich dem tune >jump up< von admiral bailey angenommen und das 1987er original (king jammys produziert) in die neuzeit katapultiert! the classic augustus pablo sessions 1974-75 back on vinyl, remastered by kevin metcalfe. wiederveroeffentlichung eines lang vergriffenen album das 1982 erstmalig erschien und im channel one & harry j studio mit soldgie hamilton am mischpult und den musikern der roots radics eingespielt wurde. 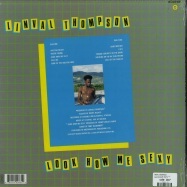 neun der zehn stuecke wurden von linval thompson selbst produziert, der titelsong der lp von henry junjo lawes. 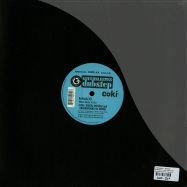 dieser basiert auf dem im not getting crazy riddim, der durch frankie pauls worries in the dance weltweit populaer wurde. 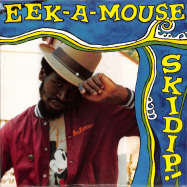 der tune i spy wiederum hat den selben riddim wie eek-a-mouses do you remember. 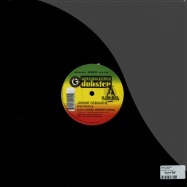 die riddims der stücke are you ready, call me, things couldnt be the same und holding on to my girlfriend kamen auch bei den legendären scientist dub-alben zum einsatz. limited rsd 2018 release on transparent green 7 inch vinyl. international reggae star alborosie returns with the dub version of his celebrated “freedom & fyah” album from last year titled “freedom in dub”. 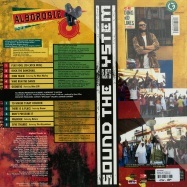 the distinctive production of these ten newly recorded dub mixes underscore alborosie’s skill and credibility as a master of dub. 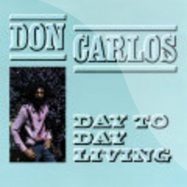 all tracks are produced and (mostly) played by alborosie and recorded at his shengen studios in kingston, jamaica. 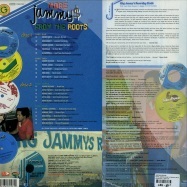 finest roots anthems from the late 70ies by the legendary singer sylford walker compiled and re-issued with the seal of quality of the glen brown production and the king tubby mix. 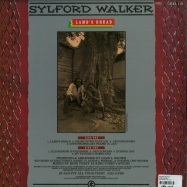 available again as lp-vinyl with eight tracks including the three 12 inch-single mixes of -deuteronomy-, -eternal days- and -my father’s homeland-, the longtime deleted greensleeves longplayer from 1988.
sylford walker’s heart-stopping 70’s roots anthems recorded for glen brown are rightfully regarded like holy relics of reggae. 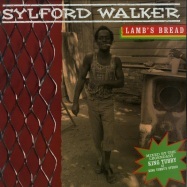 the -lamb’s bread- album gathers up these classic sides and once again makes them available for the roots disciples. mixed by king tubby at king tubby s, this remastered reissue is the quintessential sound of 1970’s jamaica. an album so full of roots, you may have to scrape the mud out of your amp after playing! die offizielle wiederveröffentlichung des dub-klassikers scientist encounters pac-man ist als 2lp-edition mit poster (60x60 cm) erhältlich! 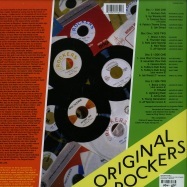 die aufnahmen des originalalbums von 1982 finden sich auf der ersten lp, sie wurden mit den musikern der roots radics in bestbesetzung im channel one studio eingespielt und im king tubby studio abgemischt. am mischpult saß hopeton overton brown, besser bekannt als scientist, und für die produktion zeichnete linval thompson verantwortlich. auf der zweiten lp finden sich die dazugehörigen versionen der sänger u.a. von eek-a-mouse, linval thompson, dennis brown und den viceroys und den meditations. für dieses herausragende re-issue projekt wurde die top-adresse, was audio-mastering in europa angeht, die firma soundmasters in london, engagiert. das dazugehörige artwork von tony mcdermott hat bis heute nichts an seiner faszination verloren. die offizielle wiederveröffentlichung des dub klassikers “the evil curse of the vampires” ist als 2lp-edition mit poster (60x60 cm) erhältlich! 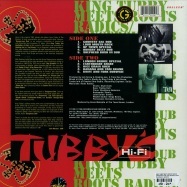 die aufnahmen des originalalbums von 1981 finden sich auf der ersten lp, sie wurden mit den musikern der roots radics in bestbesetzung im channel one studio eingespielt und im king tubby studio abgemischt. am mischpult saß hopeton overton brown, besser bekannt als scientist, und für die produktion zeichnete henry -junjo- lawes verantwortlich. auf der zweiten lp finden sich die dazugehörigen versionen der sänger u.a. 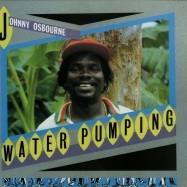 von wayne jarrett, johnny osbourne, wayne jarrett, michael prophet und den wailing souls. für dieses herausragende re-issue projekt wurde die top-adresse, was audio-mastering in europa angeht, die firma soundmasters in london, engagiert. das dazugehörige artwork von tony mcdermott hat bis heute nichts an seiner faszination verloren. 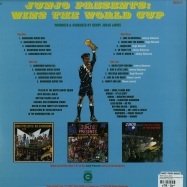 the official re-issue of the dub classic “wins the world cup” available as extended 2lp vinyl-set with 20 tracks and poster. 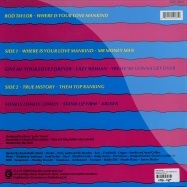 the original album from 1982 has been state-of-the-art remastered and is twinned with a second disc of the original vocal versions. all music recorded at channel one with the roots radics and mixed by scientist at king tubby’s with producer henry “junjo” lawes. 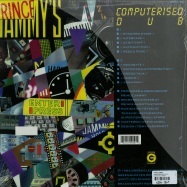 official deluxe gatefold sleeve edition, made with full approval of the original compilers. the original 1979 greensleeves “original rockers” compilation was instrumental in bringing the music of augustus pablo to an international audience and with this 2lp set greensleeves pay tribute to that landmark release with a second disc of further cuts of the original albums classic rhythms including some rare sides making their album debut. 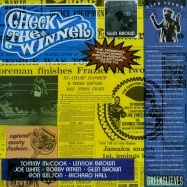 *check the winner* is the ultimate instrumental selection for the producer legend glen brown including the jamaican #1 *merry up*, one of the best rhythms ever laid in *dirty harry* and surely one of the greatest organ solos ever recorded on *no more slavery*, all originally released on glen brown s jamaican label pantomime in the early 70ies. here are 18 tracks of highly desirable reggae revives from the most collectable label of them all engineered by king tubby. 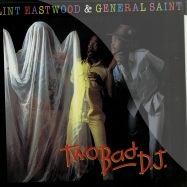 remastered with expanded sleeve notes. 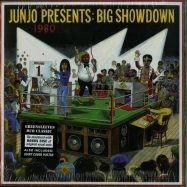 *check the winner* is the must have pantomime instrumental round-up no serious reggae fan can be without. now made available again as cd (digipak) and lp-vinyl with new lacquers cut by kevin metcalfe at soundmasters. 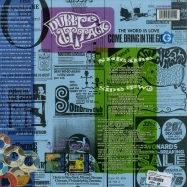 *dubble attack* is the ultimate deejay selection for producer legend glen brown including u roys king tubby sound system special *number one in the world*, big youths instant rewind *opportunity rock*, three of i roys hardest and hardest to get tunes along with a trio of killers from prince jazzbo and many more, released in 1972 to 1974 on glen browns jamaican label pantomime. in total 14 tracks of highly desirable recordings from the most collectable label of them all, engineered by king tubby. remastered with expanded sleeve notes *dubble attack* is the must have deejay round-up no serious reggae fan can be without. available as cd (digipak) and lp-vinyl with new lacquers cut by kevin metcalfe at soundmasters. b4Berry Simpson - Daughter A Whole Lot Of Sugar Down Deh! 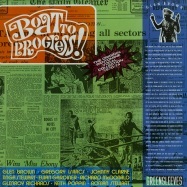 *boat to progress* is the ultimate glen brown vocal selection including richard mcdonalds roots masterpiece *realize*, one of gregory isaacs best and rarest sides in *one one coco* and the glen brown foundation killers *away with the bad* & *save our nation*, originally released on glen browns jamaican label pantomime in the early 70ies. all in all 14 tracks of highly desirable vintage reggae from the most collectable label of them all engineered by king tubby. 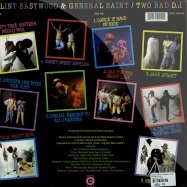 remastered with expanded sleeve notes. 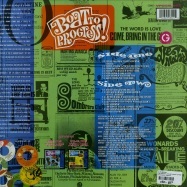 *boat to progress* is the must have pantomime vocal round-up that no serious reggae fan can be without. available as cd (digipak) and lp-vinyl with new lacquers cut by kevin metcalfe at soundmasters. 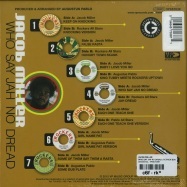 7x7 inch box mit allen 7 inch-singles, die der beliebte sänger für den produzenten augustus pablo aufgenommen hat plus erstmalig für die Öffentlichkeit das hometown hi-fi sound system special some of them say them a rasta. alle aufnahmen des box-set wurden von kevin metcalfe liebevoll soundtechnisch aufbereitet. mit einigen der bekanntesten jacob miller hits (u.a. 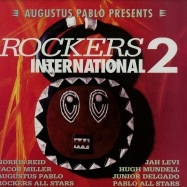 baby i love you so) und der kultigen version king tubby meets rockers uptown ist die box ein muss für alle sammler, jacob miller und king tubby-fans! die box erscheint inklusive downloadcode. der lp-klassiker aus dem jahre 1980 jetzt als wiederveröffentlichung, re-mastered und mit neuem vinylschnitt von kevin metcalfe (soundmasters, london). hier finden sich -melodica masterpieces, deep dubs and classic vocal sides, von und mit augustus pablo, delroy williams, earl sixteen, te-track, jah iny, norris reid, jah bull und den rockers all stars. am mischpult des channel one und harry j studio saßen stanley barnabas bryan und sylvan morris. 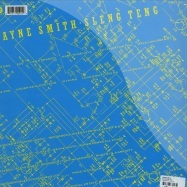 das album von 1983 wurde von der hi-times band (mit dem bandleader earl chinna smith) im channel one studio eingespielt und gilt als eines der besten longplayer des großartigen und immer noch aktiven jamaikanischen künstlers. 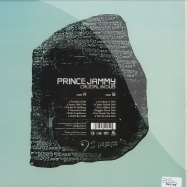 als produzent zeichnete prince jammy verantwortlich, der sich die aufnahme und den mix mit overton scientist brown teilte. für die technische umsetzung der 2015er lp-vinyl wiederveröffentlichung wurde kevin metcalfe, soundmasters london engagiert. wiederveröffentlichung der gesuchten 12-inch vinyl maxi-single von 1980. hier finden sich vier essentielle versionen des real rock riddim (im original von sound dimension/studio one): der atemberaubende deejay cut von jah iny (auch bekannt als jah t), zwei melodica dubversionen vom meister selbst und ein instrumental dub seiner backing band rockers all stars. am mischpult sass scientist im king tubby studio. mit einer brandneuen 2015er vinyl Überspielung von tonmeister kevin metcalfe (the soundmasters, london) kommt die wiederveröffentlichung des klassikers von 1981 in top-a-top soundqualität. 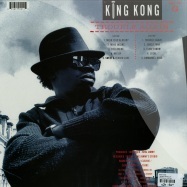 der longplayer wurde im channel one studio von soldgie hamilton aufgenommen und in king tubbys studio von jah screw und dem meister persönlich abgemischt. als produzenten für die tracks fungierten jah screw und ranking joe. *dangerous dub* ist eine äußerst gelungene präsentation von sturgav soundsystem dub specials auf riddims wie dem *heavenless*, *shank-i-sheck* oder *bandulo*. 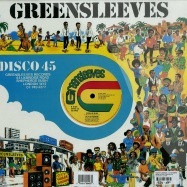 nach der 12 inch single *police in helicopter* (extended version - gred120), die im märz diesen jahres veröffentlicht wurde, hat sich das greensleeves label entschlossen mit *chanting* einen weiteren top-tune aus dem gleichnamigen erfolgsalbum von 1983 auszukoppeln. *chanting* war und ist ein jah shaka soundsystem-favorit und gibt es nun im 7 inch cut und einer exklusiven dub-version der roots radics frei erhältlich für alle. wiederveröffentlichung des albums aus dem jahre 1984 als lp-vinyl! 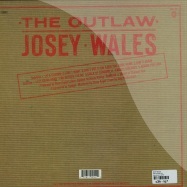 josey wales gehört zu den besten deejays die jamaika je hervorgebracht hat, mit seinem sprechgesang veredelt er die von der hi-times band eingespielten studio one riddims wie -general-, -real rock-, -pretty looks-, -vanity-, -queen of the minstrels-, uvm. am mischpult des harry j studio saß dabei der legendäre toningenieur sylvan morris. 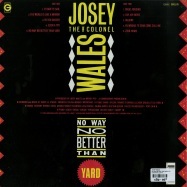 -no way no better than yard- ist ein exempel für den frühen 80er dancehall-roots reggae eines großen künstlers und war als vinyl jahrzehntelang vergriffen. 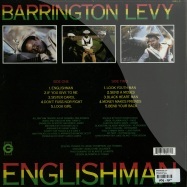 overdue re-issue of the longplayer from 1982 of this great uk reggae band. lp-vinyl has the original album track order and also for the first time on cd with seven additional tracks including john peel session tracks. 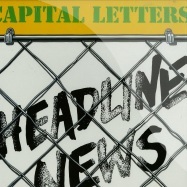 the capital letters have reformed in 2013 and perform live again. 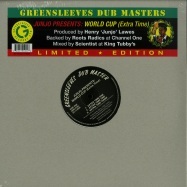 the ultimate clash of the 21st century in dub reggae. the historical meeting of the two generations represented by lloyd james (born 1947, montego bay, jamaica) better known as prince jammy aka king jammy - and alberto d ascola (born 1977, marsala, sicily), better known by his stage name alborosie and nickname puppa albo! 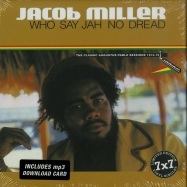 erstmalig auf vinyl erscheint die offizielle dubversion zum kultalbum -rasta communication-. die 10 tracks des 1978er originalalbums wurden in jamaika in randy s sowie im channel one studio und in london (chalk fram studio) mit sly & robbie und musikern des soul syndicate aufgenommen. 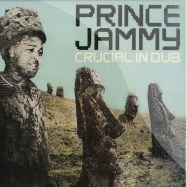 am mischpult saßen dabei clive chin, lloyd mckenzie und sid bucknor, der finale mix wurde von prince jammy in king tubbys studio ausgeführt. 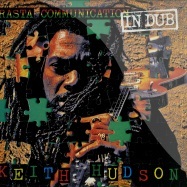 die arbeiten des sängers und produzenten keith hudson, auch bekannt als the dark prince of reggae (geboren 1946 in kingston, jamaika - r.i.p. 14.11. 1984 in new york), hatten einen großen einfluss auf die entwicklung des dub. ein klassiker des uk reggae aus dem jahre 1979 wurde als lp-vinyl neu aufgelegt. die capital letters aus wolverhampton/birmingham überzeugen auf ganzer linie im stile von aswad, matumbi, new age steppers, oder frühen ub40. mit einem frischen und zeitlosen sound, sozialkritischen texten und spannenden live-konzerten eroberte die achtköpgige gruppe (corbert scarlett, dalton harvey, danny mckeb, junior brown, ray louis, roderick garvey, stewart barrington, wenty stewart) nicht nur die englischen nachfahren der ersten generation von einwanderen aus der karibik, sondern ganz europa mit lizenzen des album seinerzeit nach deutschland, benelux, frankreich und spanien. wiederveroeffentlichung des 1981er albumklassikers mit den roots radics im channel one aufgenommen und mix von scientist in king tubbys studio. die musiker bass: flabba holt, drums: style scott, carlton santa davis, percussion: noel scully simms, christopher sky juice blake, rhythm guitar: bingy bunny, noel sowell bailey, lead guitar: alan bassford, bo pee bowen, keyboards: gladdie anderson, winston wright, horns: dean frazer, nambo robinson. für alle dubheads die info: das gunman album ist die basis von scientist rids the world of the evil curse of the vampires. 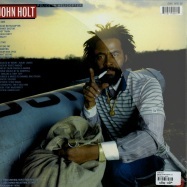 die marihuana-hymne des renommierten und leider in 2014 verstorbenen sängers john holt wird als 12inch maxi-single wieder aufgelegt. police in helicopter erschien im jahre 1983 als vorläufer zum gleichnamigen, äußerst erfolgreichen album. die a-seite bietet den gesuchten extended mix (spielzeit 7:51), und die b-seite den exklusiven non-album-track youths pon the corner auf dem selben riddim (spielzeit 7:15). weitere gütesiegel: produzent henry junjo lawes, channel one studio, soldgie hamilton mix und die musiker der roots radics. erstmalige lp-vinyl wiederveröffentichung des deejay/mc gipfeltreffen auf greensleeves! 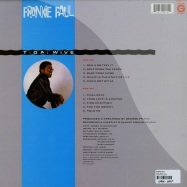 im original 1982 erschienen, wurden die zehn tracks mit der hi-times band um bandleader earl chinna smith im channel one studio aufgenommen und daraufhin im joe gibbs studio von errol thompson, oswald palmer und soldgie hamilton unter der regie des produzenten henry junjo lawes abgemischt. 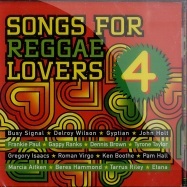 mit top-artists und top-riddims (u.a. 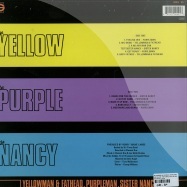 vanity, queen of the minstrels, mad mad, west of the sun) und dem hit von sister nancy, *dance pon the corner*, ist der longplayer ein ganz besonderer tipp! gesuchte roots maxi-single von 1980. mit dem extended mix von kingdom rise, kingdom fall (spielzeit 10:05), plus dem non lp-track a day will come als 12 mix (6:37). 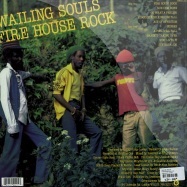 die single war seinerzeit ein vorgeschmack auf das bekannteste und erfolgreichste album der wailing souls firehouse rock. am mischpult des channel one studio saß dabei der legendäre toningenieur stanley bryan, besser bekannt unter dem künstlernamen barnabas, und der produzent henry junjo lawes. als backing band sind hier die roots radics in bestbesetzung am start! 1979 album-klassiker mit dem kultcover neu aufgelegt. aufgenommen im channel one studio von crucial bunny und abgemischt von prince jammy in king tubbys studio. 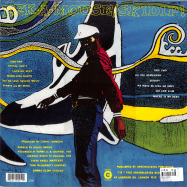 die musiker - bass: robbie shakespeare, drums: sly dunbar, congo drum: bongo herman, percussion: sticky thompson, rhythm guitar: eric lamont (bingy bunny), lead guitar: radcliffe -dougie- bryan, keyboards: ansel collins, bobby kalphat, flute: huntley das artwork wurde von paul groucho smykle gestaltet, als produzent fungierte jah lloyd (aka jah lion). wiederveröffentlichung der seit langer zeit vergriffenen 12 inch maxi-single, passend zum thema in schneeweißem vinyl für weihnachten & den jahresausklang 2014/2015. 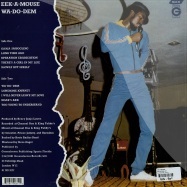 die beiden exklusiven tracks des beliebten singjay eek-a-mouse (seite a) und dem eher nur experten bekannten deejay lee van cleef (seite b) finden sich hier in der extended version. mit dem gütesiegel channel one studio, scientist am mischpult und den roots radics als backing band! endlich als lp-vinyl wiederveröffentlicht! 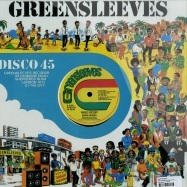 im original 1978 auf dem label joint international als us-pressung veröffentlicht, wurden die bänder nach london zum legendären mastering experten kevin metcalfe geschickt, der eine komplett neue Überspielung für greensleeves anfertigte. 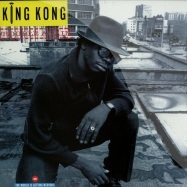 das album wurde in randys, channel one und den chalk farm studios aufgenommen und bei king tubbys mit dem finalen mix ausgestattet, am mischpult dabei clive chin, lancelot maxie mckenzie, sid bucknor und prince jammy. 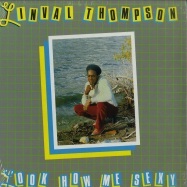 lange vergriffen und jetzt wiederveröffentlicht als vinyl ist das album von 1983. produziert von linval thomspson und mit den roots radics im channel one studio eingespielt, am mischpult saß soldgie hamilton. 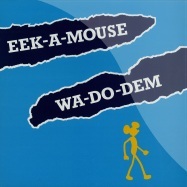 mit *the mouse and the man* deckt der singjay eek-a-mouse in gekonnt gewohnter manier die ganze bandbreite von sozialkritischen texten bis zur hommage an die ladies ab - inklusive der single *terrorists in the city*. 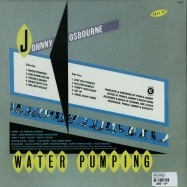 wiederveröffentlichung der original 12 inch single ep aus dem jahre 1985. 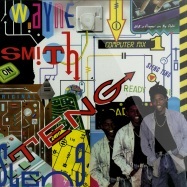 -under mi sleng teng- revolutionierte die jamaikanische musik nachhaltig und wurde unter anderem von prodigy und 50 cent gesampelt! 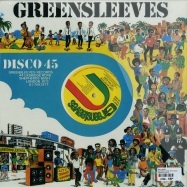 nun hat sich greensleeves entschlossen die komplette 4-track 12-, mit der original version, dem jammy s dub und der lang vergriffenen b-seite -dance gate- von michael buckley, sowie die dazugehörige sly & robbie version des -answer- riddim für die nachwelt erhältlich zu machen! am mischpult saßen dabei seinerzeit im jammy s recording studio: bobby -digital- dixon und prince jammy, der mit dieser aufnahme zu king jammy wurde. neuauflage der kult 12 inch single! im jahre 1980 erschien diese maxi erstmalig mit zwei exklusiven stücken wobei sich *give another israel a try* zum klassiker entwickelte. 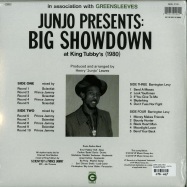 henry junjo lawes hatte die songs seinerzeit mit den roots radics im channel one studio eingespielt und im king tubbys studio abgemischt, am mischpult saß dabei overton scientist brown. 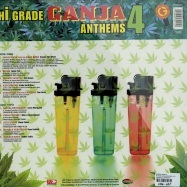 hier sind die zwei extended versions - vocal & dub. die serie der greensleeves lp-wiederveröffentlichungen geht weiter: hier ist das album des sängers linval thomspon aus dem jahre 1983 im originalartwork. *baby father* wurde mit den roots radics und dem bläsersatz bestehend aus dean fraser und nambo robinson im channel one studio aufgenommen. am mischpult saßen dabei soldgie hamilton und der sänger als produzent in eigenregie. 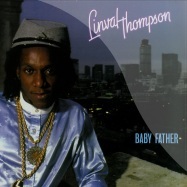 linval thompson (geboren als phillip alphonso im jahr 1954) hatte seinen ersten karrierehöhepunkt mit dem kultalbum *dont cut off your dreadlocks* im jahre 1976 für bunny lee. zu diesem zeitpunkt hatte er bereits das studium zum toningenieur in new york abgeschlossen und später begann eine erfolgreiche produzentenkarriere, u.a. dennis brown, cornell campbell, the wailing souls, barrington levy, eek-a-mouse, sowie die zwei scientist alben *meets the space invaders* und *encounters pac man*. das album von 1982 ist als vinyl-lp wieder erhältlich! 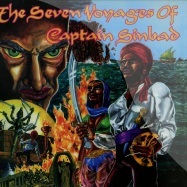 -the seven voyages of captain sinbad- war das debütalbum für den deejay captain sinbad (alter ego des jamaikanischen produzenten carl dwyer). 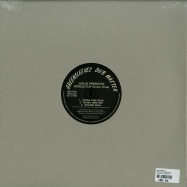 der künstler startete seine karriere beim sound of silence soundsystem als junger kollege von sugar minott und machte aufnahmen für dillinger s oak label. aber es war der produzent henry junjo lawes, die musiker der roots radics mit scientist & soldgie hamilton am mischpult des channel one studio und das greensleeves label sowie der graphiker tony mcdermott, die diesen longplay-klassiker verwirklichteten. schwergewichtige riddims - u.a. shank i shank, soloman, cuss cuss, things and time, bobby babylon, hunter man! die wiederveröffentlichung des lange vergriffenen 84er albums im original lp coverartwork! 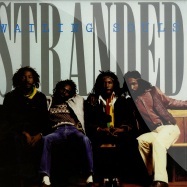 -stranded- wurde im channel one studio aufgenommen und von errol brown im tuff gong studio abgemischt. das musiker line-up: bass: flabba holt, drums: style scott, drums & electronic drums: sly dunbar, lead guitar: dwight pickney, rhythm guitar: bingy bunny, piano: steely johnson , synthesizer: keith sterling. 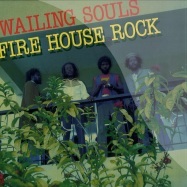 die wailing souls zählen zu den langlebigsten jamaikanischen roots-formationen, ihre karriere startete 1966 und dauert bis heute an. im laufe der jahre veröffentlichten sie u.a. singles und alben für studio one, island records, live & learn und greensleeves. 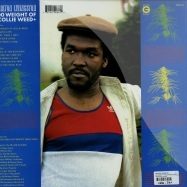 wiederveröffentlichung des albumklassikers von 1983. der longplayer wurde seinerzeit mit den roots radics im channel one studio eingespielt, soldgie aka cedrica anthony hamilton saß dabei am mischpult, als produzent fungierte henry junjo lawes. 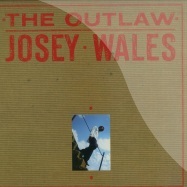 der künstler josey wales (bürgerlich joseph winston sterling) ist neben yellowman der wichtigste deejay der 80er jahre, er benannte sich nach dem 76er western mit clint eastwood *the outlaw* (deutscher titel *der texaner*). für das gleichnamige album kamen u.a. 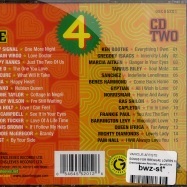 die zwei studio one riddims *full up*, *a love i can feel*, sowie *fat she fat* und *youth in the ghetto* zum einsatz. wiederveröffentlichung des longplayers aus dem jahr 1980 mit dem markanten tony mcdermott albumcover design. endlich neu aufgelegt! das album von 1982 war jahrelang vergriffen und gilt neben -rub-a-dub style- (studio one) als der klassiker des deejay-duo. 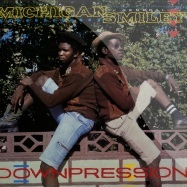 -downpression- war ein weltweiter erfolg und schaffte den crossover vom dancehall reggae zur hip hop-community in new york durch afrika bambaataa, der mit dem song -diseases- seine mix-kunst zelebrierte. die zehn tracks des albums wurden mit den roots radics im channel one studio eingespielt, am mischpult saßen soldgie und scientist - zum einsatz kamen die riddims: taxi, firehouse rock, truly, cuss cuss, gunman, mad mad und solomon. 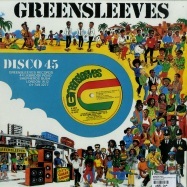 wiederveroeffentlichung des greensleeves longplayer von 1984. am mischpult saß phillip smart (neben scientist und prince jammy der dritte meisterschueler von king tubby), mit den musikern bass: paul henton, drums: donny marshall, guitar: errol moore, guitar lead: donovan mckitty, keyboards: william brown, horns: derek hinds. der titelsong ist ein absoluter classic tune der reggae-historie und basiert auf jackie mittoos hot milk riddim. 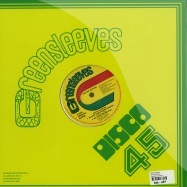 veroeffentlichung des 12 inch mix (extended version mit einer spielzeit von 7 minuten 55 sekunden im scientist mix) erstmalig auf vinyl in der greensleeves 12 inch serie. 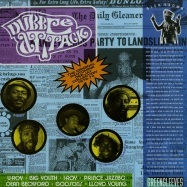 fire house rock wurde 1980 im channel one studio mit den roots radics eingespielt und von henry junjo lawes produziert. 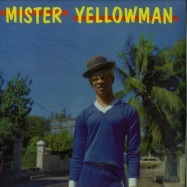 auf der zweiten seite der maxi finden sich zwei weitere tracks von yellowman & fathead sowie von michigan & smiley auf dem selben riddim! die kultmaxi aus dem jahre 1979 erstmalig neu aufgelegt mit dem 8 minuten 45 sekunden mix! 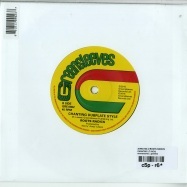 die single *smoking my ganja* war seinerzeit ein absoluter favorit von john peel und jerry dammers (the specials) - sowie ein chart-hit in holland - und ist bis heute ein zeitloses uk reggae/ganja-anthem! die achtköpfige gruppe war eines der ersten signings des noch jungen greensleeves labels. gleich zwei der bekanntesten michael prophet songs im 12inch mix erstmalig auf vinyl praesentieren wohl einen der fettesten sounds ueberhaupt, den die roots radics mit scientist und barnabas am mischpult seinerzeit im channel one studio mit produzent henry junjo lawes anfang der 80er jahre realisiert haben! diese maxi-single ist auch eine wunderbare ergaenzung zu dem vergriffenen album scientist rids the world of the evil curse of the vampires. 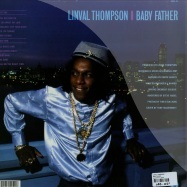 erstmalige nachpressung der lp von 1985. produziert von lloyd prince jammy james mit der high times band um den bandleader earl chinna smith im channel one studio mit toningenieur soldgie hamilton. 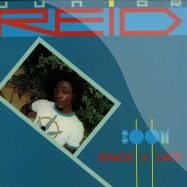 boom shack a lack ist seit erscheinen ein all-time-seller und ein meilenstein in der karriere von junior reid, der spaeter als leadsaenger von black uhuru (fuer die alben positive und brutal) und ganz besonders durch den hit und das gleichnamige solo-album one blood weltberuehmt wurde! erstmalige nachpressung des album-klassikers von 1984! 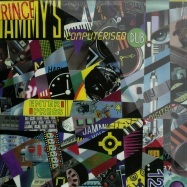 produziert von prince jammy mit der hi-times band und deren bandleader earl chinna smith im channel one studio, am mischpult saß als toningenieur soldgie hamilton. mit half pints größten hits: mr landlord, puchie lou, you lick me first, one big ghetto.half pint (buergerlich lindon roberts) wurde in 1983 schlagartig bekannt, als er den song winsome veroeffentlichte, der von den rolling stones als too rude gecovert wurde. 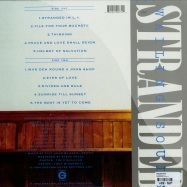 das album aus dem jahre 1986 wurde im originalcover neu aufgelegt! 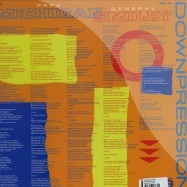 erstmalige nachpressung der original 12inch single von 1980 mit den jeweiligen extended versions! 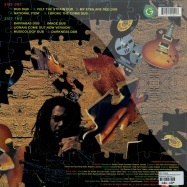 das renommierte vokal-trio liefert hier den roots reggae-classic *gates of zion* in der maxi-single version auf der a-seite, und die b-seite kommt mit der sly & robbie dub version *zion in dub*. beide tracks wurden im channel one studio aufgenommen und im tuff gong studio abgemischt, an den reglern saßen dabei errol brown & dennis dubmasta stanley. essentiell für alle roots- & dub-reggae-liebhaber! the 1982 album re-released as vinyl in the original artwork! 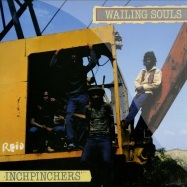 inchpincherswas recorded at the channel one studio with the roots radics as backing band and producer henry junjolawes with engineer soldgie (aka cedrica anthony hamilton) at the controls. the final mix was done at joe gibbs studio! sound the system! 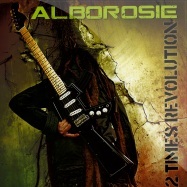 - italian reggae artist alborosie returns with new studio recordings fueled by his passion for real reggae music. nice price lp vinyl with 10 selected tracls, guest features include the legendary the abyssinians, the italian pop star nina zilli, nature and ky-mani marley. the album is supported by festival dates this summer to be followed by a club tour later the year. wiederveroeffentlichung des albums von 1982 als vinyl-lp. 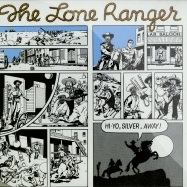 der artist lone ranger(buergerlich anthony waldron) startete seine karriere bei studio one und gehoert zu den großmeistern des deejay-genre - seine bims, rights und ribbits haben sich nachhaltig als zeitlos bewiesen. 1978 classic deejay set finally gets a vinyl re-issue! 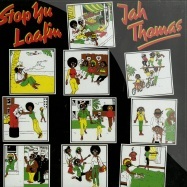 one of the original album releases that launched the greensleeves record label, stop yu loafin captures jah thomas flashing at the height of his powers over a set of 10 crucial revolutionaries rhythms. wiederveröffentlichung des lange vergriffenen longplayers von 1980! zehn starke tracks im channel one studio mit den roots radics aufgenommen und bei king tubby s abgemischt. am mischpult saß dabei overton scientist brown. diese henry junjo lawes produktion ist ein muss für jede ernsthafte vinyl reggae sammlung! 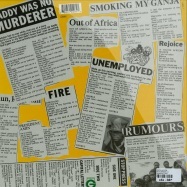 das soloalbum des black uhuru-gruendungsmitglieds von 1982 im originalcover als lp neu aufgelegt! 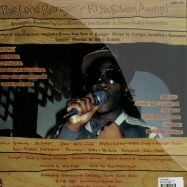 der longplayer wurde mit den roots radics und dem bläsersatz von dean fraser & nambo robinson im channel one studio von soldgie und scientist aufgenommen und abgemischt, als produzent zeichnete henry junjo lawes verantwortlich. limitierte neuauflage des klassikers von 1983! 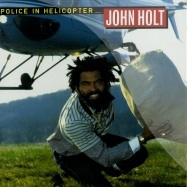 police in helicopter wurde mit den roots radics im channel one studio aufgenommen, am mischpult saßen der engineer soldgie und der produzent henry junjo lawes. für die hervorrragenden backing vocals waren al campbell, the tamlins und tony tuff verantwortlich. 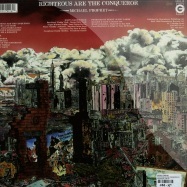 vinyl neuauflage des klassikers von 1978, der mit den revolutionaries und den engineers barnabas, lloyd mckenzie & ernest hoo kim im channel one studio realisiert und von joseph hoo kim produziert wurde. 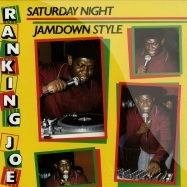 ranking joe überzeugt auf ganzer linie über top riddims wie >fade away<, >rockfort rock< uvm. das kultige artwork stammt von paul groucho smykle! das album von 1982 in einer vinylneuauflage! >skidip!< zählt zu den stärksten longplayern die eek-a-mouse je herausgebracht hat (neben >wa do dem< - grel31). 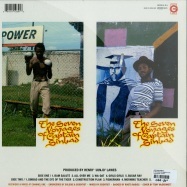 das album wurde im harry j und channel one mit den roots radics eingespielt, am mischpult saßen dabei der renommierte engineer soldgie sowie der produzent linval thomspon. hier finden sich auch diverse originalversionen, die später auf dem legendären scientist album >encounters pac-man< zum einsatz kamen. nice price deal !!! 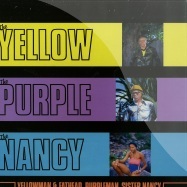 streng limitierte veröffentlichung der legendären 12inch maxi-single (gred8) von 1978 als ep mit zwei weiteren versionen des rasta anthem bloody eyes ! - weltweit limitiert auf 750 kopien. 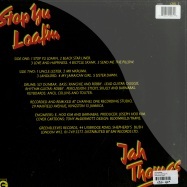 diese ep erscheint in koordination mit der veröffentlichung der 2cd deluxe edition rasta communication (gre2097). der lang vergriffene longplayer als vinyl-wiederveröffentlichung im original cover von 1981! ein klassiker im deejay genre - toyan liefert hier sein bestes album ab mit exzellentem toasting über riddims wie >gunman<, >ice cream love<, >jacqueline<, >another one bites the dust<. 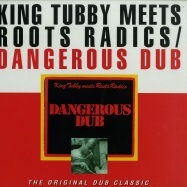 die lp wurde im channel one studio mit den roots radics aufgenommen und bei king tubbys von scientist abgemischt! der lang vergriffene longplayer von 1981 als vinyl-wiederveröffentlichung! 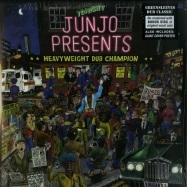 dieses legendäre album ist ein arte muss für jede ernsthafte black uhuru lp sammlung - die musik wurde im harry j studio mit den besten musikern jamaikas aufgenommen, und die gesangsspuren im king tubbys studio sowie der finale mix von produzent prince jammy realisiert! der lang vergriffene longplayer als vinyl-wiederveröffentlichung im original-cover von 1981! >wa do dem<, das seinerzeit im channel one studio aufgenommen und von scientist, prince jammy und barnabas im king tubbys studio abgemischt wurde, ist zweifelsfrei das beste album von eek-a-mouse. 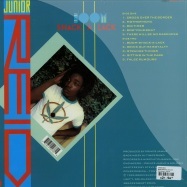 eine erstklassige henry junjo lawes produktion mit den roots radics als backing band. letztmalige auflage! die allererste maxi-single des greensleeves label von 1978 wurde von joseph hoo kim (channel one) produziert, als backing band fungierten the revolutionaires! letztmalige auflage! 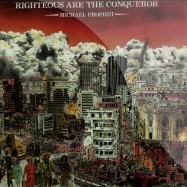 die beiden tracks von den alben >michael prophet< und >righteous are the conquerer< wurden bei channel one aufgenommen und von barnabas im king tubbys studio 1981 für die maxi-single veröffentlichung abgemischt, als produzent henry junjo lawes mit den roots radics in bestbesetzung! letztmalige auflage! >noahs ark< wurde 1981 von dem kultalbum >wa-do-dem< ausgekoppelt und mit einem furiosen dub-mix von scientist im king tubby studio versehen als maxi-single veröffentlicht. produzent war henry junjo lawes und die roots radics spielten die musik ein! auf der b-seite findet sich ein lovers rock tune von dem nur in insiderkreisen bekannten flick wilson. letztmalige auflage! 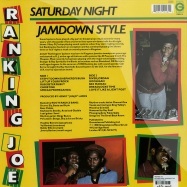 der früh verstorbene deejay ranking dread mit seiner wohl besten 12 inch single aus dem jahre 1980 - exzellente versionen im vocal & dub style mit studio one keyboardlegende jackie mittoo und den roots radics in höchstform! 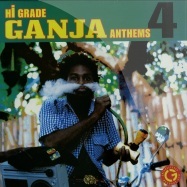 mavados hit-tune vom debütalbum >gangsta for life< (von 2007) plus vybz kartels >emergency< (vom vergriffenen j.m.t. 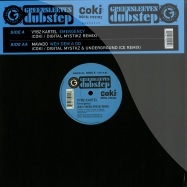 album von 2005) im fetten dubstep remix von digital mystikz dean harris aka coki! limited edition von 500 exemplaren weltweit! 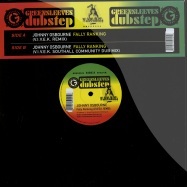 the classic tune >fally ranking< gets the 2011 remix by v.i.v.e.k inna sound that is getting big love from both dubstep and roots reggae fans! 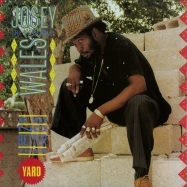 >fally ranking< was originally cut by prince jammy in 1980 with the roots radics as backing band. the artist v.i.v.e.k has various releases out on deep medi musik (the label run by mala of digital mystikz) and is featured on standout compilations for labels like soul jazz and ministry of sound. 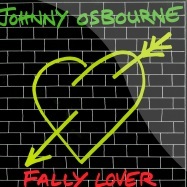 sonic soundscaper v.i.v.e.k has radically reconstructed johnny osbournes >fally ranking< for the latest in greensleeves life-taking arsenal of dubstep single releases. v.i.v.e.ks crucial love of roots and dub ensure his deep subterranean grooves are underpinned in true sound-system style and fashion and with >fally ranking< he is controlling a sound that is getting big love from both dubstep and roots reggae fans! 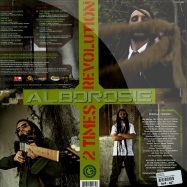 sicilian reggae artist alborosie returns with his second greensleeves album >2 times revolution<. the vinyl has 10 tracks, a journey through urban and world music styles, features include etana, junior reid, and the sampled voice of renown italian philospher giuseppe tarantino - brilliant! 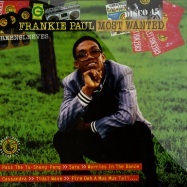 the latest volume in the successful most wanted series shines the spotlight on frankie paul, the man they call the jamaican stevie wonder! 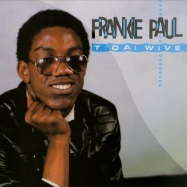 with all the important frankie paul key tracks like worries in the dance , pass the tu-sheng peng , sara , a.o. 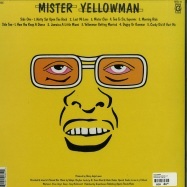 - original label production credits are courtesy channel one, volcano, jammys a.o. 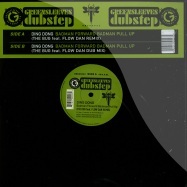 die dritte veröffentlichung für das neue greensleeves sublabel präsentiert die japanischen dubstep-könige goth-trad mit ihrem remix für den dancehall klassiker >synthesizer voice<! 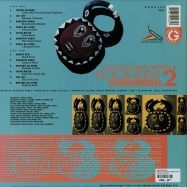 - das original von pampidoo ist eine version des klassikers >agony< des deejay pinchers, produziert von king jammy in 1987.
crucial times is the 2010 album for miguel orlando collins and celebrates sizzlas close bond work with mentor and producer homer harris, collecting together twelve carefully chosen tracks that clearly demonstrate the signature power and urgency of the mighty sizzla kalonji. a proven talent born straight from genesis, sizzla stands proud as reggaes number one cultural ambassador and this new album offers solid proof that he has never strayed from the light and salvation of his strong musical message offering much needed love and hope for the people in these crucial times. 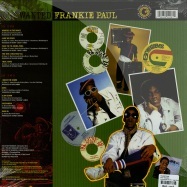 re issue of the 1986 classic reggea/dancehall tracks! 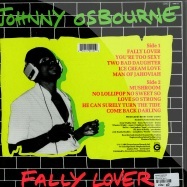 re issue of the long out of print and collectors item 12inch from 1981!! 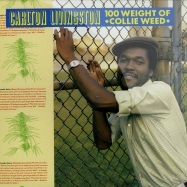 produced by jah thomas, backed by the roots radics, mixed by scientist! 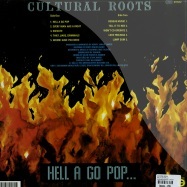 excellent and rare set from the highly respected roots group cultural roots originally released in 1984, which is now re mastered and gets a vinyl repress for the first in well over 20 years. 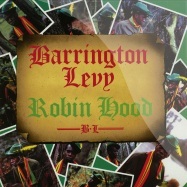 recorded at channel one studios, jamaica, produced by henry junjo lawes, mixed by scientist and utilising the talents of the roots radics, this album still sounds as fresh and thrilling as it did when it was originally released. the albums features the popular love feelings, cut of john holts evergreen police in helicopter rhythm and the big hit hell a go pop a big favourite with reggae sound systems during 1984.